Innoseis is proud to announce another important milestone with the delivery of a 5,000 node Quantum system to Mitcham Industries. The nodes are fully integrated with INOVA’s high performance iX1 data management system, ready for immediate deployment in the Middle East. Innoseis’ continuing collaboration with INOVA has produced the markets leading next generation nodal solution offering the smallest, lightest (0.65kg) and longest run-time node (50 days @ 24hrs) together with fast, industrial-strength downloading and data management system, high productivity source control and a full range of operational efficiency without sacrificing data quality or QC capability. Quantum by Innoseis adds another dimension to INOVA’s broadband product portfolio. In partnership with Mitcham, Quantum by Innoseis is now offered as part of a comprehensive selection of fully supported products designed to meet any exploration challenge. 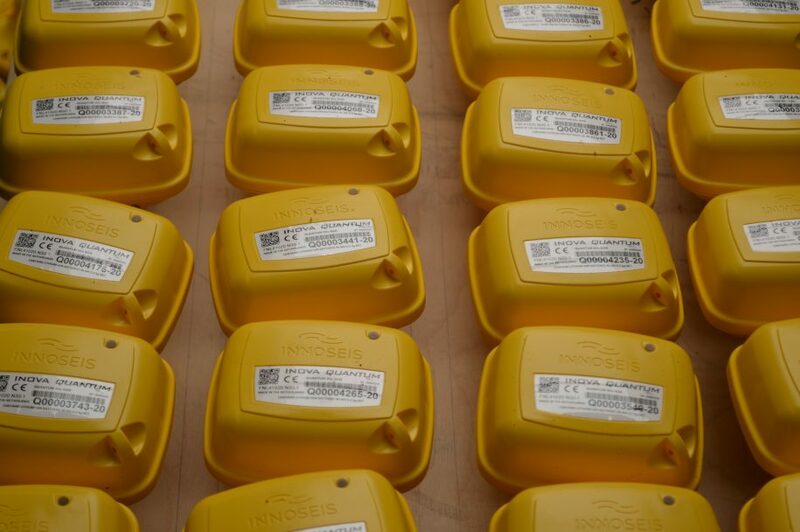 Whether the need is for a low impact, environmentally sensitive nodal and mini-vibe operation or for high productivity, high density, low frequency desert crews Quantum by Innoseis is able to meet the challenge. As INOVA’s strategic rental partner, Mitcham is now uniquely placed to leverage the INOVA product portfolio to operators and exploration contractors worldwide. For more information on Quantum email info@innoseis.com , or call +31 20 592 21 93 or contact us directly here.